Have you ever been to the zoo? 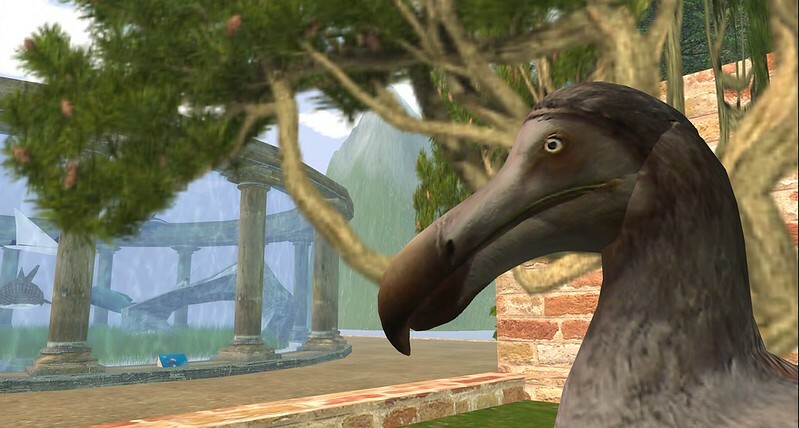 In Second Life, I mean. On the amazing Where's Dim Sum? blog I saw some photos taken at Zoo World and got curious. Zoo World is a true zoo: all animals that you'd expect - elephants, lions, giraffes, monkeys - are there. There are signs with name and country of origin, there's a cotton candy vendor and even a call to support WWF. Like in many real life zoos, the animals are arranged per continent. The difference is that there are no fences or ditches though, so you can come as close to the animals as you like. 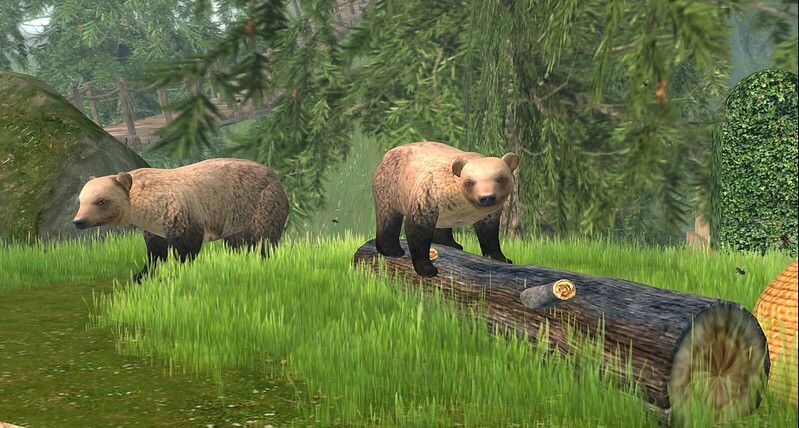 There's even a section for extinct animals, who come back to life in this virtual zoo. 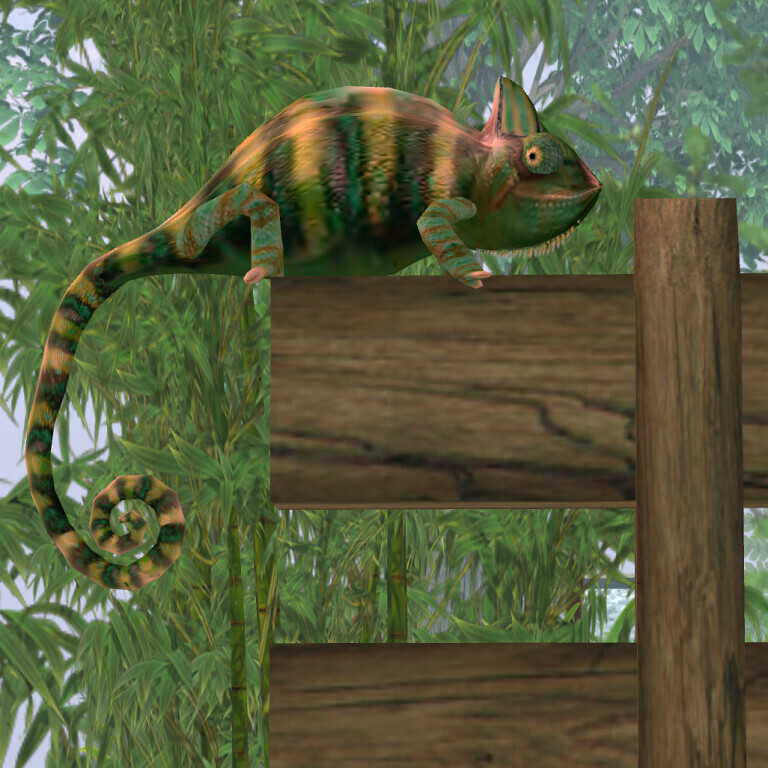 Animals are not only in the walled areas, but also jumping around freely, flying over or hiding in unexpected corners, like this cute chameleon. 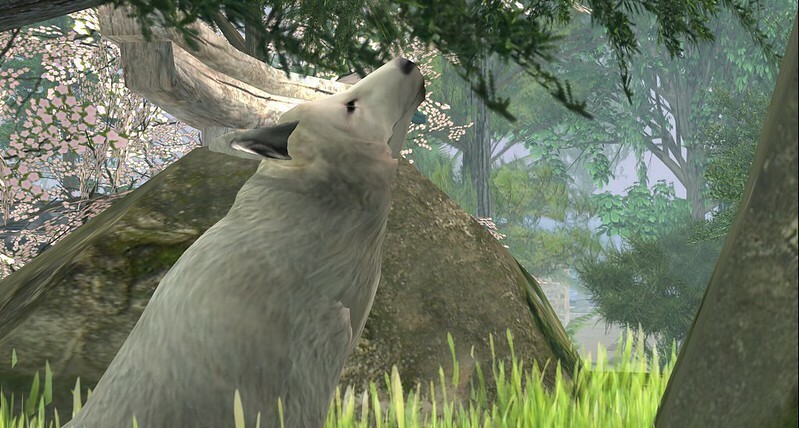 When you're done in the zoo, there's more to explore on Le Dome, as the sim is called. The zoo is surrounded by a lovely park and a sea boulevard. All around are replicas of real life statues and monuments - from the Liberty Statue to Mount Rushmore - and in one corner you can find a spooky garden, called Dark Romance. 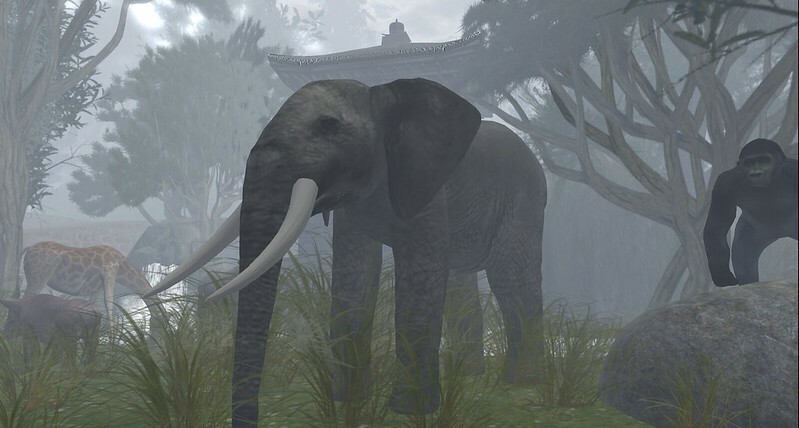 It was rainy here all day, so I took my seven year old son to this virtual zoo. He enjoyed it very much!